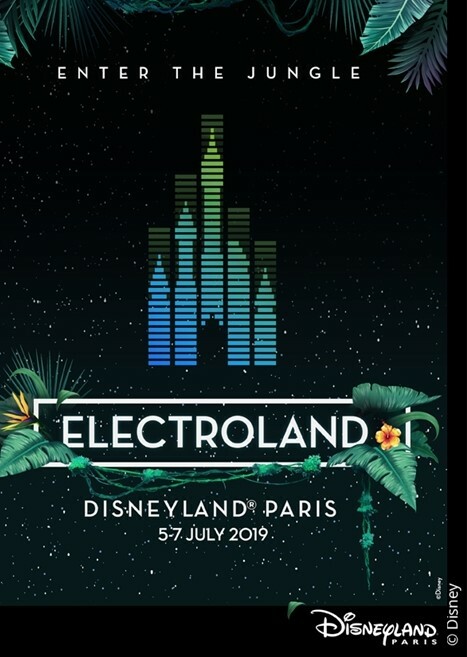 Electroland returns to Disneyland Paris in July 2019 for its third event and it is going to be bigger and better than ever before! Electroland: Where music meets magic! 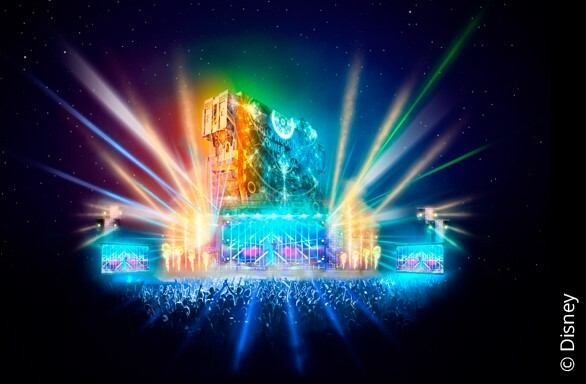 Enter a unique universe where music meets magic, as Electroland returns to Disneyland® Paris for a third edition on 5th  7th July 2019, from 8pm2am on all three nights! 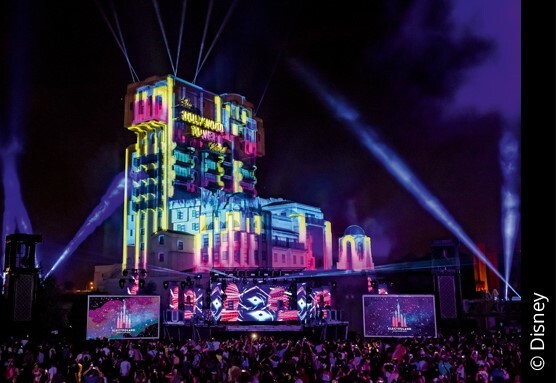 The electro-takeover of Walt Disney Studios® Park encompasses exclusive performances from world-renowned DJ artists and a spectacular transformative light show on the Hollywood Tower Hotel. Also, with access to selected rides and attractions late into the night, the Magic of Disney and thrill of Live DJ artists combines for the perfect electro-experience. A non-refundable deposit of £99.00 per person is due to confirm your booking. Final balance payment is due by Wednesday 15th May 2019. All payments are non-refundable. Should payments not be received by the due dates we reserve the right to treat the booking as cancelled at loss of any monies paid. Package prices do not include any transport to or from Disneyland Paris. This tour is operational based on a minimum of 12 paying passengers. Check in at your chosen Disney hotel and spend an afternoon in Disney Village in its many shops, restaurants and bars. That evening at 8pm make your way to Walt Disney Studios® Park to see Steve Aoki and other big names for the first night of Electroland 2019. Take advantage of Extra Magic Time at Disneyland® Park in the morning, where you can access selected attractions in the parks before regular park opening. Experience big thrills on Star Wars Hyperspace™ Mountain and Indiana Jones™ and the Temple of Peril, or enjoy some family fun on Mad Hatter's Teacups and Buzz Lightyear Laser Blast. In the evening, head back to Walt Disney Studios® Park to experience the sounds of Alesso and Jax Jones! See the world of movies and television come alive in the Walt Disney Studios® Park by day. 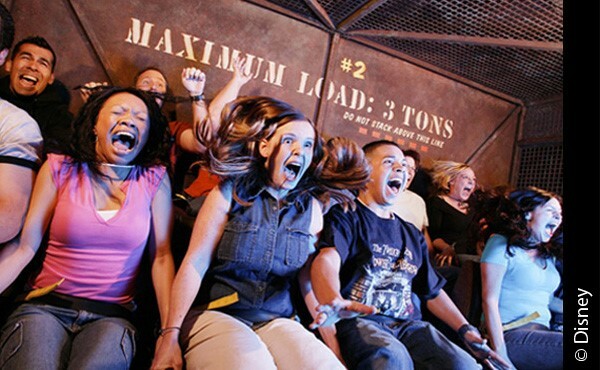 Must-do attractions include The Twilight Zone Tower of Terror™ and Rock 'n' Roller Coaster starring Aerosmith. Make sure to check out Ratatouille: The Adventure, a ride through the sights, sounds and smells of the sewers of Paris and Gusteau's kitchen. This 4D thrill for all the senses is not to be missed! For the final time, spend the evening in front of the Hollywood Tower Hotel and see Armin Van Burren for the finale of Electroland 2019! Today it will be time to say Au Revoir to Disneyland® Paris and travel back home to the UK with memories to last a lifetime. The Half Board Meal Plan includes breakfast at your Disney® Hotel and 1 meal voucher per person per night of stay, valid for a 3-course meal (2-course meal for children) or, if available in the chosen restaurant, an all-you-can-eat buffet with soft drink and water. Meal Vouchers can be used at selected restaurants in the Disney® Hotels, Disney® Village and the two Disney® Parks. The Full Board Meal Plan includes breakfast at your Disney® Hotel and 2 meal vouchers per person per night of stay, 1 meal voucher valid as above and 1 lunch voucher which varies depending on the option chosen. If you choose the Full Board Standard Meal Plan your lunch vouchers will be valid for use in a counter service restaurant, and if you choose the Full Board Plus or Premium Meal Plan then your lunch voucher will be for use in an all-you-can-eat buffet restaurant. Meal Vouchers can be used at selected restaurants in the Disney® Hotels, Disney® Village and the two Disney® Parks. Book a Premium Meal Plan and receive 1 x Character Breakfast per stay! Enjoy an all-you-can-eat buffet breakfast at Plaza Gardens in the Disneyland® Park in the company of some of your favourite Disney Characters. Subject to availability. All guests staying in the same room must add the same meal plan for the duration of the stay. Yee-ha cowboy! Put on your boots, hang on to your hat and mosey on over to Disneys Hotel Cheyenne for an authentic flavour of the Wild West! The recently refurbished Toy Story themed rooms have either two double beds or one double bed, a single bed and a roll-out bed. Located 20 minutes walk from the Disney® Parks or a few minutes by free shuttle bus, this hotel offers cowboys and girls the atmosphere of a frontier town. Relax in this cosy and comfortable lodge, inspired by Americas national parks. Set beside Lake Disney and surrounded by treetops, its nature in all her majesty! Bambi and friends add a touch of woodland charm to the rooms which have two double beds. Hotel facilities include swimming pool, sauna and fitness room. Located 15 minutes walk from the Disney® Parks or quicker by free shuttle bus, this mountain retreat offers guests the authentic feel of the wilderness. Enjoy all the charm of the late 19th Century New England seaside awash with maritime romance, right on the waters of Lake Disney®. In nautical white and blue and themed with Mickey Mouse from Steamboat Willie, rooms have two double beds and hotel facilities include swimming pool, sauna and fitness room. Located just 15 minutes walk from the Disney® Parks or quicker by free shuttle bus, this recently renovated hotel gives the feel of a luxurious coastal mansion. Live it up in the charming Disneyland Hotel, with Disneyland® Park right at your door you are ready for the ultimate Disney experience. The Disneyland Hotel is Disneys only 5 star hotel and offers only the highest quality service for all its special guests. 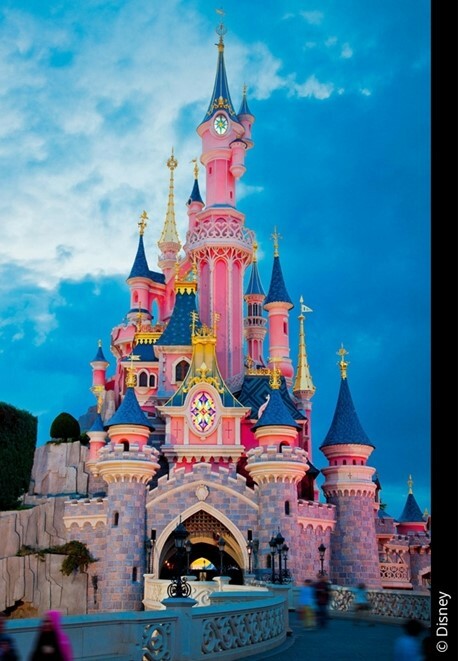 The hotel takes prime position at the entrance to the Disneyland ® Park so you couldnt be any closer to the action. A stay here will leave you feeling as pampered as a prince or princess. When you have partied the night away, relax the next day in the indoor pool, or even treat yourself to a spa day.